Preparations are on by the Kerala state government to form a Ayurveda, Yoga & Naturopathy, Unani, Siddha, and Homoeopathy (AYUSH) Department, mirroring the Central model, under the comprehensive health policy. Absence of an independent AYUSH department has been costing the state Central funds amounting to lakhs of rupees and opportunities in Ayurveda and other health care sectors. The department of AYUSH was constituted under the Central Health Department in November 2003, replacing the Department of Indian Systems of Medicine and Homoeopathy(ISMH). The national policy of the Union Ministry in 2002 had announced the relevance of AYUSH to promote good health and expand the outreach of health care to people who are not provided health cover. “The AYUSH should facilitate availability of raw drugs which are authentic and contain essential components as required under pharmacopoeia standards to help improve quality of drugs, for domestic consumption and export. Encouragement to set up general and specialised treatment centres of AYUSH should be provided in all allopathic hospitals so as to provide general and specialised therapies of Indian systems of medicine,” the policy says. 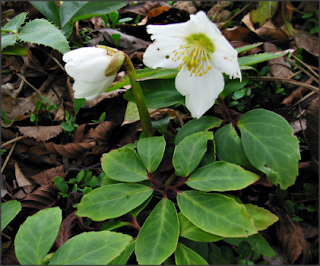 Helleborus Niger is a Homeopathic remedy and belongs to the family Ranunculaceae.Although the flowers of resemble wild roses and despite their common name as "Christmas rose"
Helleborus Niger do not belong to the rose family (Rosaceae). The main use of Helleborus is in Cerebrospinal fever - Acute meningitis,Typhoid,Hydrocephalus, Paralysis,Epilepsy with consciousness,Traumatic tetanus,Melancholia, Insanity and Ring worm. NTR Health University BHMS Results sep/oct 2012 announced. The “Andhra Pradesh University of Health Sciences” was established by the Act.No. 6 of the Andhra Pradesh legislature and was inaugurated on 9-4-1986 by the late Sri N.T. Rama Rao, the then Chief Minister of Andhra Pradesh.The University of Health Sciences started functioning at Vijayawada from 01-11-1986. After the death of its founder Sri N.T. Rama Rao the University was named after him as NTR University of Health Sciences, Andhra Pradesh with effect from 2.2.98 vide Act No.4 of 1998. 1. Department : Homoeopathy/Insurance Medical services. This is a case of lady aged 26 yrs and a mother of a child. The patient had occasional vague abdominal pain especially on the right flank,since 6months . The USG had relieved a 5mm calculi in the right kidney.See the report. Established in 2009 as a Constituent College of University of Chhattisgarh.Runs various medical and paramedical courses.Ayush Hospital is the associated teaching hospital with more than 1000 beds. Known for its quality research; National ranking 7th based on the number of publications in PubMed indexed journals.College with excellent results: Students excel in curricular/extracurricular activities. Cater to the health care needs for the Chhattisgarh community and surrounding border areas. 2. Consultant (Administration) – Interview date : 28-12-2012 at 10.00 a.m.
Doctors in the city(Noida) have alleged that the district health department is pulling the lives of children at stake in order to avoid being reprimanded for their mistakes from the state government. The health department has made it compulsory for all children below the age of 10 to receive measles vaccination in schools irrespective of whether they have received it previously or not. Free vaccines will now also be provided in private hospitals from December 10. Private hospital doctors have called the move unnecessary and risky and pointed out that all vaccines have side-effects. This move, which targets 3.24 lakh children in the district, comes within a week of the health department receiving criticism for under-spending the resources allocated to them under the NRHM scheme. The district health department started the drive on December 3, two days after an assessment meeting of the NRHM scheme of five division of western Uttar Pradesh, wherein free and compulsory immunization was given to schoolchildren. At the meeting, the principal secretary (health) criticized the districts, including Noida, for underutilization of resources allocated to them. "All children below the age of 10, irrespective of whether they have received the vaccination or not before will have to take the vaccine. This increases their immunity to measles by 95%", said Nepal Singh, immunization officer. Union government’s Department of Ayurveda, Yoga and Naturopathy, Unani, Siddha and Homoeopathy (AYUSH) has now issued a notification vide G.S.R.844(E) F.No.K.11020/05/2011-DCC(Ayush) on the amendment of the of certain rules in the Drugs and Cosmetics Rules, 1945 dated November 26, 2012. These rules are now referred to as Drugs and Cosmetics (5th Amendment) Rules, 2012 and would be enforced from 2013. 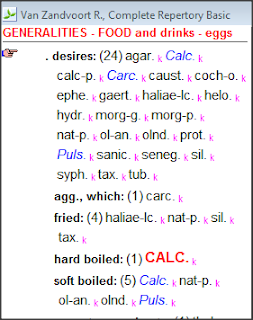 The Drugs and Cosmetics Rules, 1945, under rule 161, in sub-rule (1), after the words ‘true list’ of all ingredients” the new insertion is effective. This would be read as ‘with the botanical names of plant based ingredients along with plant part(s) and form of ingredients’. The second change in the Rules is after ‘First Schedule of the Act’. A new insertion made is ‘in respect of Patent or Proprietary Ayurveda, Siddha or Unani drugs, the true list of all the ingredients with the botanical names of plant based ingredients along with plant part(s) and form of ingredients, in which, these are used in the formulation, with their quantity’. The greatest miracle is the formation of life. Recurrent miscarriage (RM), the accepted definition of which is three or more consecutive miscarriages, is relatively uncommon – affecting about 1 to 2% of couples who conceive.Natural abortions can happen due to various reasons. If a women has repeated natural abortions, there might be some internal problems and after investigation these can be corrected. Aneuploidy (trisomy or monosomy) is the most commonly identified chromosome abnormality in humans and fetal aneuploidy is the single most common cause of miscarriage. A new study suggests countries that use large amounts of high fructose corn syrup(HFCS) in their food may be helping to fuel the global epidemic of type 2 diabetes. Researchers from the University of Oxford and the University of Southern California (USC) found a 20% higher proportion of the population have diabetes in countries with high use of the food sweetener compared to countries that do not use it. It is now possible to incorporate fish oil into milk and other dairy-based beverages in concentrations high enough to promote heart health, and without effecting the product's taste or lifespan, suggests a new study published in the Journal of Dairy Science. Researchers at Virginia Tech conducted a study with 25 participants who analyzed one-ounce cups of standard two percent milk that was made up of 78 parts butter oil to 22 parts fish oil under institutionally approved study conditions. The researchers tested four different ratios of butter oil to fish oil in the creation of pasteurized, fatty acid-fortified drinks. The formula had no smell and sent to its drinker 432 milligrams of heart-healthy fatty acids per cup, almost the 500 milligram daily target for healthy people, according to many well known guidelines. 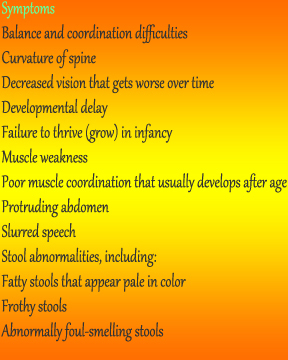 Bassen-Kornzweig syndrome is a rare, autosomal recessive disorder in which the microsomal triglyceride transfer protein (MTP) is absent because of mutations in the MTP gene. Individuals who are homozygous for this disorder have total cholesterol levels <1.3 mmol/L (<50 mg/dL) and essentially no VLDL, IDL, LDL, or chylomicrons. Bassen-Kornzweig syndrome is a rare disease passed down through families more often affecting males,in which a person is unable to fully absorb dietary fats through the intestines. Because dietary fat as well as vitamins A and E are transported from the intestine in chylomicrons, these patients may have malabsorption of fat and fat-soluble vitamins. 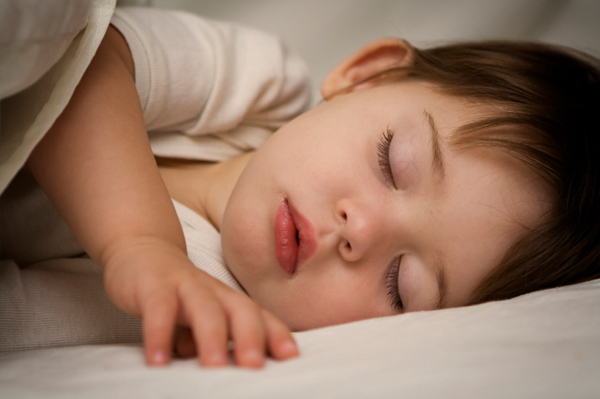 Vitamin E deficiency in infancy and early childhood can result in neurologic problems. Moderately low levels of total cholesterol may also be associated with extreme reductions in HDL cholesterol; as noted above, these are almost always secondary to mutations in the gene for apo AI and a lack of apo AI in plasma. 1. The physician does not bear in mind his homoeopathic philosophy. 2. He fails to take a complete enough case, from which to deduce the true remedy. he omits the mentals, the profoundly important generals, or fails to elicit the modalities of the particular symptoms. 3. He lacks patience. Having given the remedy he forgets that he must WAIT and WATCH. He repeats the remedy, in unwise zeal, before the definite slump comes after the improvement which has followed his remedy. more of a good thing does not mean a better thing in homoeopathic prescribing. 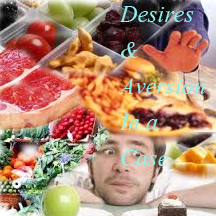 Often it is very difficult to differentiate the mental, only the mental symptoms, for example, to differentiate Pulsatilla from Calcarea on the mental level, lets say fear of becoming insane, only on the basis of mental symptoms, on the basis of thoughts, the kind of fear, how the fear is expressed and things like that. It is very difficult and very dangerous, to differentiate only on the mental level, as often happens in America... You know that George Vithoulkas published his essences - I warn you ... He is my teacher and he showed me the way. I admire him very much. I would not talk against him. He has published the essences, but the pictures are too narrow. 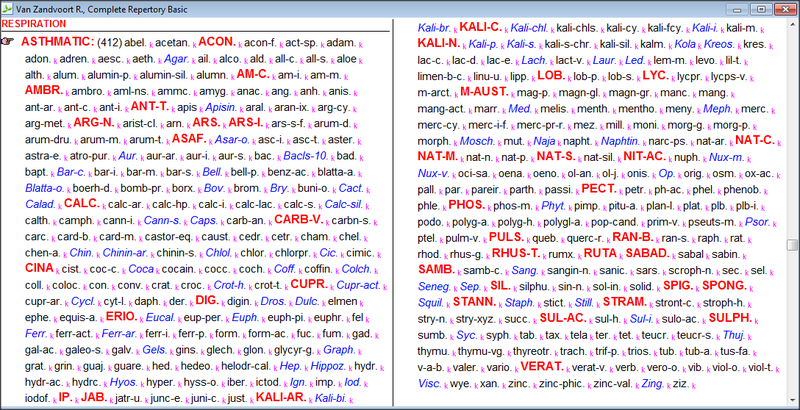 You can not give a single description of one remedy, one remedy has many aspects. 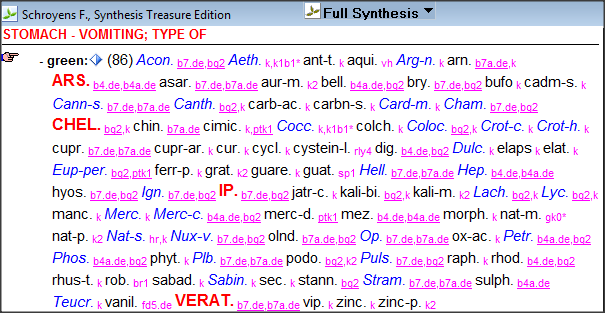 When we will talk about Phosphorus later - you know the picture that Vithoulkas gives of Phosphorus ? Nice, open, full of love, a positive picture. 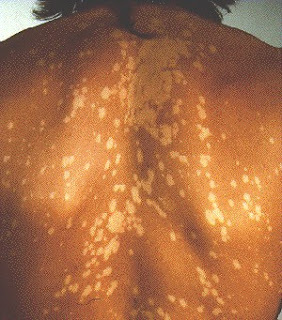 I will show you a very annoying woman and I am sure you will say she is Nux vomica, but it is a clear, beautiful Phosphorus case. That is what I mean. I warn you, to prescribe only on the basis of mental symptoms. A mental picture, and it does not matter who has written it, will always be too narrow; a remedy is much larger than a picture. 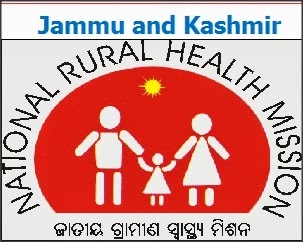 The district National Rural Health Mission (NRHM) is planning to launch a special drive to popularize the Union government-funded Janani Sishu Suraksha Karyakram (JSSK) that has been introduced in eight selected government hospitals in the district. The hospitals have been rendering free service to pregnant women opting for both normal delivery and C-section and free services up to 30 days for new-borns. In Kozhikode, the scheme is introduced at the Institute of Maternity and Child Health, Kottaparamba Women and Child Hospital, Beach General hospital, Perambra , Kuttiyadi, Thamarassery and Koyilanday Taluk Hospitals and Vadakara District Hospital. The NRHM here has entrusted 2,050 Accredited Social Health Activists (Asha) workers and 750 health staff to popularize the scheme especially in rural and urban areas where people have not aware of the scheme. Asha workers will conduct door-to-door campaign to create awareness among women about the scheme. She had temporary relief with pain killers at the beginning. The case was diagnosed as RA by an Post Graduate (GM) doctor. 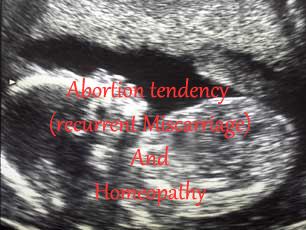 He referred the case to Homoeopathy. she has a sensation of heat and the Appetite is diminished. She Desires sour food and has Unsatisfactory stools. she had Perspiration of face (Observed Symptom) and Itching between thighs, with discolouration and desquamation–7-8 yrs duration. She had recurrent Brittle finger nails, Shapeless. – 2-3 yrs duration. she has Ingrowing nails – toes – 4-5 yrs duration and Back pain – lumbar – during menses. Though the government has started giving more importance to alternative therapies, practitioners of these therapies believe efforts leave much to be desired. One such medico is Dr Manoj Patel, a homoeopath from Mumbai who was the chief co-ordinator in implementation of Government of India's department of AYUSH ( Ayurveda, Yog and Naturopathy, Unani, Siddha and Homeopathy) project at Vadodara district of Gujarat. He has also been awarded as the best homoeopathic doctor in 2005-06. Dr Patel was in the city recently for a seminar organized by city unit of Homoeopathic Medical Association of India. He also delivered a public lecture during the seminar that spoke about homoeopathy's dynamic method of treatment. Excerpts from a discussion he had with TOI. The Uttar Pradesh Government has stopped the recruitment of contractual staff under National Rural Health Mission (NRHM) in all districts of the state with the immediate effect. This decision was taken in the wake of a dispute between Minister of State for Revenue Vinod Kumar Singh and the Chief Medical Officer (CMO) of Gonda over recruitment of contractual staff under NRHM. The state's Health and Family Welfare Minister, Ahmad Hasan, said all appointments have been stopped in all districts. Earlier, the recruitment of doctors under NRHM had been suspended in Gonda only. 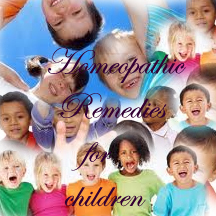 Aethusa is prepared from a very common weed of Europe known as the Fools Parsley.It is a great friend of the children as it helps us to cure many of their ailments.It is a great homeopathic remedy for children. Their discoveries concern the manipulation of living cells, and lie at the heart of the techniques for cloning animals and generating stem cells, the primitive cells from which the mature tissues of the body develop. Dr. Gurdon was the first to clone an animal, a frog, and Dr. Yamanaka discovered the proteins with which an adult cell can be converted to an egg-like state. The prize was announced in Stockholm. Both men had to overcome false starts in life. Dr. Gurdon was told as a boy that he was wholly unsuited for biology, and Dr. Yamanaka trained as a surgeon only to find he was not so good at it. 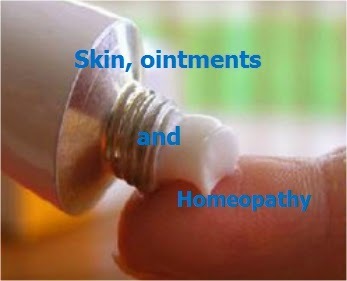 In homeopathy, skin diseases are considered as a internal disease and these require an internal medicine for its cure. The so called modern medicines do not consider this and they treat this as a local disease and suppress them with external applications and ointments. IS THIS TYPE OF TREATMENT CORRECT? In the first look this seems to be correct as it gives you immediate relief, but actually it results in driving the skin disease internally into a more important organ of the body. THE LEAST IMPORTANT ORGAN OF OUR BODY IS THE SKIN. The body always tries to bring the disease to a least important organ of the body. Let me explain this. More than 3,500 posts are lying vacant in the state’s health department, the government said Thursday. The state’s health ministry has undertaken 13 projects under NRHM to supplement the requirement of health sector in the state. The government claimed that efforts are being made to fill up all the vacant posts and 835 doctors and 3762 paramedics have been engaged under NRHM to improve the availability of manpower in these health institutions. The vacant 3580 posts in different cadres of health department have been referred to various recruiting agencies minister for medical and technical education R S Chib informed the legislative assembly on Thursday. Mumbai:The central government has given permission to 207 colleges and institutes for giving admission in under graduate and post graduate courses of Ayush during 2012-13. The government's approval comes Under Section 13C/A of the IMCC Act. Of these, 169 colleges are Ayurvedic colleges, 31 colleges are Unani colleges and 7 colleges are Siddha colleges. Out of 169 Ayurvedic colleges, 39 colleges are Govt. colleges, 130 colleges are private colleges. Of the 31 Unani colleges, eight are Govt. colleges and 23 are private Unani colleges. Of the seven Siddha colleges, three colleges are Govt. colleges, four colleges are private colleges. While the Government has allowed 8785 seats in under graduate courses in Ayurveda, 1523 seats have been allowed in post graduate courses. Of the 8785 seats in under graduate courses, 1765 seats are in the Govt. Ayurvedic colleges, 7020 seats are in private Ayurvedic colleges. Of the 1523 post graduate seats, 404 seats are in Govt. Ayurvedic colleges and institutes, 1119 seats are in private Ayurvedic colleges. Agaricus because of neurological, twitching problems. Baryta carbonica because of the combination of not knowing how, not understanding and weakness.Calcarea carbonica because of weakness. Calcarea phosphorica also. Causticum because of neurological problems. Don't forget Causticum in children with fear of animals! Further Natrum muriaticum who are late in learning to walk because they don't know how to walk.Nux vomica because of spasms.Silicea also because of weakness.Every remedy has its own reasons why it is late in learning to walk. Calcarea carbonica, Silicea and Calcarea phosphorica are remedies related to the bones, to make the bones stronger. One who has seen many asthmatic patients during the attacks will find the symptoms very similar unless he discriminates and observes the finer points. For instance, when he visits, he will find the patient having a great difficulty in breathing and panting for breath. He is not able to lie down and is sitting up in bed, at times leaning forward, very restless, wants something warm to drink and due to fear of suffocation he thinks he is breathing his last. The remedy that comes to mind first is Arsenic alb. But this remedy will only palliate and will not hold the case very long. It is very essential to observe the patient carefully and try to find some peculiar symptoms for instance if the patient is lying flat in bed in spite of severe difficulty in breathing Psorinum could be thought of. If he feels better in knee chest position Medorrhinum can be thought of. When the attack is worse with the onset of monsoon, Natrum Sulph helps. But if the patient is better in monsoon Causticum is the remedy. After vaccination as mentioned before Thuja and Silicia can be thought of. Very often, we hear the parents telling us that the child is worse at new moon or full moon and you may observe this yourself that he or she gets the attack on this day when Silicia, Phos, Alumina or Sulphur can be thought of. Parents with social anxiety disorder are more likely than parents with other forms of anxiety to engage in behaviors that put their children at high risk for developing angst of their own, according to a small study of parent-child pairs conducted at Johns Hopkins Children’s Center. 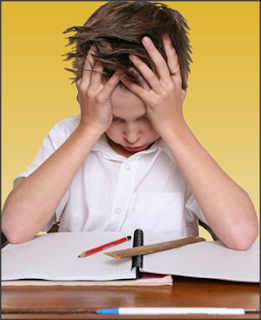 Authors of the federally funded study say past research has linked parental anxiety to anxiety in children, but it remained unclear whether people with certain anxiety disorders engaged more often in anxiety-provoking behaviors. Researchers report that they've identified another genetic variation that appears connected to male breast cancer, a rare condition that kills several hundred men in the United States each year. Male breast cancer is about 100 times less common than female breast cancer, according to the American Cancer Society. It estimates that this year breast cancer will be diagnosed in about 2,190 men in the United States and will kill about 410 men. The proposed introduction of the three-and-a-half-year degree course in community medicine by the Medical Council of India(MCI) has created an uproar amongst the doctors including Karnataka Government Medical Officers Association(KGMOA) and Ayurveda, Yoga & Naturopathy, Unani, Siddha and Homoeopathy (AYUSH) fraternity in Indore. On one hand where KGMOA claims that the new course will only generate more quacks, the AYUSH fraternity is concerned about the contradiction as students with allopathic and AYUSH degrees are already doing the same work. Opposing the B Sc in community health course that will be started from April next year, KGMOA President Dr HN Ravindra said instead of increasing the number of public health centres(PHCs) or number of under-qualified doctors, there should be more MBBS doctors to serve rural areas. On Monday the Gujarat's health department will witness one of the biggest crippling protests in recent decades where 45,000 employees engaged in the National Rural Health Mission (NRHM) will strike work for a day. The employees will go on mass casual leave demanding pay as per Sixth Pay Commission's recommendation. According to secretary of NRHM employees association Jayesh Macwan, "The issue of price rise affects the lower rung in the health department to a great extent. We demand that we be paid as against our work and our right as much as those who are drawing salaries under the pay panel's recommendation. This wonderful article is from Kents Lesser writing. I call this the Advantage with the potency. This opens up the consideration of Series of Degrees, which is to become one of the most important subjects in the treatment of chronic diseases. It will lead to the development of a distinct class of prescribers in our school, if it has not already done so. Its recognition is a distinctive feature in the practice of my pupils, many of whom have expressed their wonder that this doctrine of Hahnemann is so meagerly understood and so rarely used in the treatment of chronic diseases. It has often been forced upon my attention, when observing the work of even careful prescribers, that they stop after making a most careful selection, and fail to do more than to start the cure in the right direction. The patient improves so long as the one potency will act curatively, and then the cure stops; yet the same remedy is indicated, known from the fact that the symptoms have returned and are the same as when the remedy was first given. I have noticed many times, in patients coming to me from physicians who always give a low potency, that some curative action was observed, and then the remedy was changed, and again other changes were made. When the correct remedy was given again, in a higher potency, the cure began again. It is the same when the physician has given a high potency, and it has done all it can do, and will no longer act; another remedy has been selected which failed because it was not indicated. The one that was indicated has failed only because it has done all it can do in that one potency. The physician must learn that he cannot practice Homoeopathy on one potency of each drug. Even after 32 years of its establishment, the Mayurbhanj Homeopathic Medical College and Hospital (MHMCH) at Baripada is yet to be taken over by the State Government. This MCH at Sungadia near Baripada which was established in 1980, presents a picture of neglect. Though the private homeopathy medical colleges in Rourkela, Sambalpur and Berhampur were taken over by the government in 1994, this was left out for reasons unknown. The State has six homeopathic colleges, including five government ones. Government colleges include Biju Patnaik Homeopathic Medical College at Berhampur, Cuttack Homeopathic Medical College, Dr Abhin Chandra Homeopathic Medical College and Hospital at Bhubaneswar, Odisha Medical College of Homeopathy and Research at Sambalpur and Utkalmani Homeopathic Medical College at Rourkela. This is a case of a man aged 50 yrs. He had come to treat a ulcer that has come up after a boil had opened up. the ulcer refused to heel and began to extend.There was severe pain and the touch of the clothing increased it.The first photograph shows the large ulcer. Now every homeopath or a alternative medicine degree holder will come to to decision of either a referral to a modern medical treatment or to begin a homeopathic treatment. All systems of medicine and healing, including ayurveda, homeopathy, naturopathy, as well as yoga would be integrated in the system in government hospitals and primary health centres across Uttar Pradesh. The programme, officials here told IANS, would be funded under the National Rural Health Mission (NRHM). In the first phase, an official said, yoga and a therapeutic healthcare option would be tested in 27 districts and would later be integrated with a parallel health plan that includes other systems of medicines such as unani, homoeopathy and ayurveda. The project has been allocated Rs.25 crore, with the money also being utilised to purchase and distribute ayurvedic, unani and homoeopathic medicines. The programme would be available at all government district hospitals, primary health centres (PHCs) and community health centres (CHCs). The experiment would not only be keenly watched but would also be pathbreaking, an official said. “Till now, the basis of all healthcare was largely the allopathic system. Something like this is being tried for the first time,” an official said. 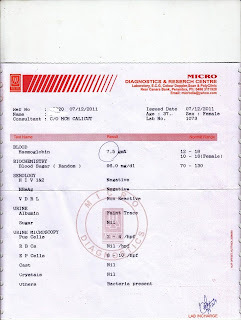 Male aged 34 yrs Date : 14-12-11. with Infertility, one and a half yrs duration. It was a case of Oligospermia ( 17 million/ml, 50 % motility on 23-11-10 and 9 million/ml, 30% motility on 25-12-10 ) and Surgical treatment ( TVL) for varicocele ( Grade II, B/L-Manual ) was done in December 2010. After the surgery he developed Azoospermia. His FSH and LH levels were normal but Testosterone a bit high. Allopath advised MESA/TESE and ICSI. As those procedures are costly the patient decided to try Homoeopathy. The patient Has the habit of smoking. The top ten drugs used by Australians were linked to 2925 adverse events and 67 deaths in the last five years, an exclusive analysis of the adverse events data base of the national drug watchdog has found. Since 2007, the most commonly used drugs have been linked to 950 cases of musculoskeletal and connective tissue disorders, 633 nervous system disorders, 331 cases of respiratory, thoracic and mediastinal disorders and 286 cases of psychiatric disorders. The cholesterol lowering medicine Atorvastatin produced the highest number of adverse events between 2007 and 2011, and was linked to 815 reports of side effects including 13 deaths. Constitutional classification in homeopathic prescribing? This is from Kent's Lesser writings. Why should we attempt to classify constitutions as an aid in prescribing? Every individual is a constitution, and no two sick persons can be classified as of the same class to the satisfaction of any clear, observing, and thinking homoeopathist. It is a fatal error to classify constitutions, as no two are sufficiently similar, when observed by a genuine homoeopathician to form even a common class. Human beings are a thousand times more complex than the chess-board in the hands of most skillful players. Every change in combination in mental or physical signs and symptoms brings a new view of the entire patient as observed collectively. Normal mental methods come to all thinkers in such diverse appearances as to justify the well-known statement that no two minds are alike. In similar manner, all abnormal minds appear to the alert physician as sick individuals. Mental abnormalities may be classified by their common manifestation by the alienist, but the classification is never useful to the homoeopathist when searching for a remedy. 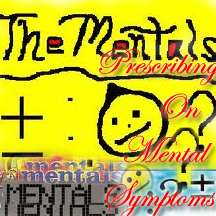 The classification is made up from common symptoms of the mental-disease symptoms for the purpose of medical diagnosis, but the peculiar symptoms in each and every morbid mental case must guide to the prescription, and these prevent classification. Dr Nisanth Nambison, professor in Government Homeopathy Medical College has been selected by the Central government to participate in the international seminar on homeopathy in Japan from September 14 to 17. The professor’s name had earlier been recommended by the state government for his path-breaking research in respiratory diseases. Growing incidence of respiratory diseases, including asthma and allergies of various types have emerged as a major health challenge in recent times. These diseases have been associated by experts with the rising level of pollution in the cities. High level research to tackle such diseases is being done across the world. The research conducted by Dr Nisanth has opened the possibility of treating allergy-related respiratory diseases. 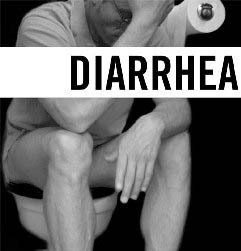 Infections may be symptomatic or asymptomatic. These infections occur in 1 to 3 percent of schoolgirls and then increase markedly in incidence with the onset of sexual activity in adolescence. The vast majority of acute symptomatic infections involve young women. Acute symptomatic urinary infections are unusual in men under the age of 50. The urinary tract should be viewed as a single anatomic unit that is united by a continuous column of urine extending from the urethra to the kidney. 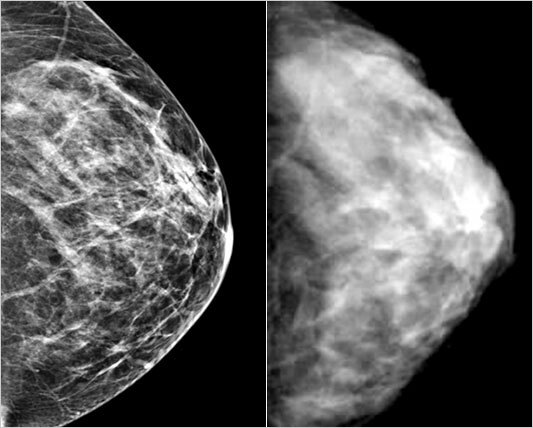 Mammograms aimed at finding breast cancer might actually raise the chances of developing it in young women whose genes put them at higher risk for the disease, a study by leading European cancer agencies suggests. The added radiation from mammograms and other types of tests with chest radiation might be especially harmful to them and an MRI is probably a safer method of screening women under 30 who are at high risk because of gene mutations, the authors conclude. Mammograms are most often used in women over 40, unless they are at high risk, like carrying a mutation of the BRCA1 or BRCA2 gene. Having such a mutation increases the risk of developing cancer five-fold. Medical service in ayurveda, yoga, unani, sidda and homoeopathy hospitals were partially affected on the first day of statewide strike of alternative medicine practitioners on Wednesday. Claiming widespread support, AYUSH doctors association state president Dr Ajay Awasti said, "For long, Ayush doctors which include ayurveda, yoga, unani, sidda and homoeopathic practitioners have been overlooked. We would continue with the strike until the state government concedes our demands"
The protesting Ayush doctors are demanding direct recruitment for vacant posts of Ayush medical officers, better pay and recruitment of Ayush doctors in places where allopathic doctors refuse to work. "There are almost 1,070 vacant posts of Ayush in state government. Excluding some 600 vacant posts of National Rural Health Mission (NRHM) which need to be filled," he added. Digested coconut oil is a natural antibiotic that may help to fight tooth decay, say scientists from the Athlone Institute of Technology in Ireland. The scientists presented their data at the Society for General Microbiology’s Autumn Conference taking place this week at the University of Warwick. Streptococcus bacteria are common inhabitants of the mouth, and so the team tested the antibacterial action of coconut oil against strains of this bacteria. Two versions of coconut oil were used in the study: coconut oil in its natural state and coconut oil that had been treated with enzymes, in a process similar to digestion. Women who become pregnant with previously frozen IVF embryos tend to have healthier babies and fewer complications than those who have fresh embryos implanted, research suggests. Fertility doctors found that mothers had a lower risk of bleeding in pregnancy with embryos that had been frozen and thawed, and went on to have fewer pre-term and low-birthweight babies. Fertility clinics in Britain usually transfer fresh embryos into women several days after they have been given hormone injections that stimulate their ovaries to release eggs. These are extracted and fertilised before being implanted. 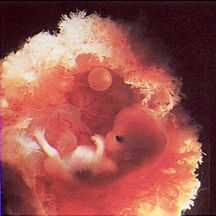 Any embryos that are not used can be frozen for use months or years later. The new results raise questions about the way fertility treatment is offered in the UK. If mothers and babies fare better with previously frozen IVF embryos, it may make sense to freeze more or most embryos. 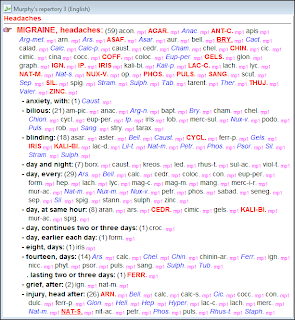 Headache is usually a benign symptom, and only occasionally is it the manifestation of a serious illness such as brain tumor, subarachnoid hemorrhage, meningitis, or giant cell arteritis.severe, disabling headache is reported to occur at least annually by 40 percent of individuals worldwide. en in the study who ate the largest amount of chocolate, about one-third of a cup of chocolate chips (63 grams) per week, had a lower risk of stroke compared to those who did not consume any chocolate. Those eating the highest amount of chocolate had a 17-percent lower risk of stroke, or 12 fewer strokes per 100,000 person-years compared to those who ate no chocolate. Person-years is the total number of years that each participant was under observation. If the Indian Medical Association (IMA) has its way,then Ayurveda,Unani and Homeopathy practitioners will have to start prefixing vaidya,hakim and homeopath before their names instead of simply calling themselves doctor. IMA members say this has to be done as just the term Dr misleads the public,as most assume it means an allopathic practitioner.There should be some clarity about medical professionals as there are so many streams of medicine.Also the number of doctors has increased and so has quackery, said Dr Jayesh Lele,secretary,IMA. 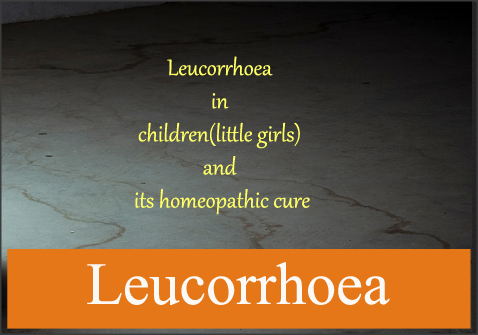 We have written to the Indian Medical Council (Ayurveda),National Integrated Medical Association (NIMA),Homeopathic Council of India and other smaller councils as well,regarding this, said Lele. 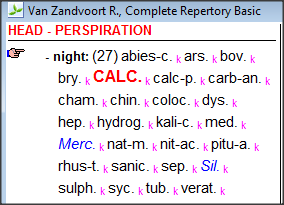 A lady aged 37yrs presented with generalized Weakness and Difficulty in doing her daily works. 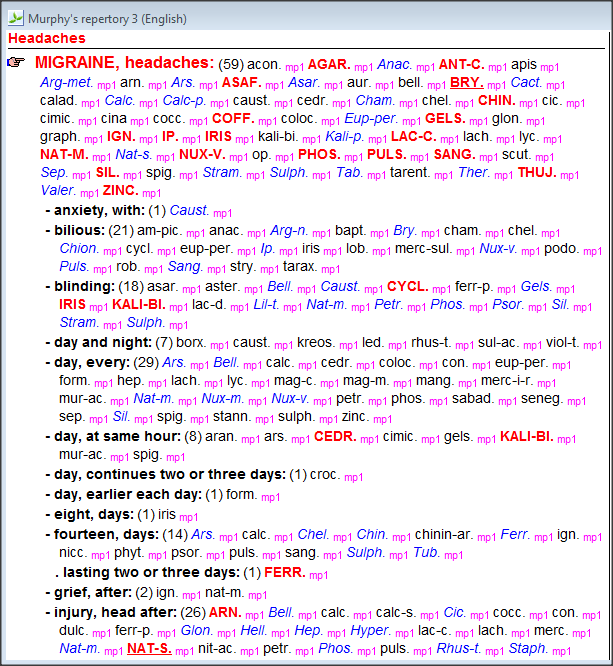 - 3 months duration .She says she was 'generally weak' but the condition worsened in the last 2-3 months. Consulted an allopathic doctor who prescribed some iron tablets which she says 'gave nothing but nausea'. 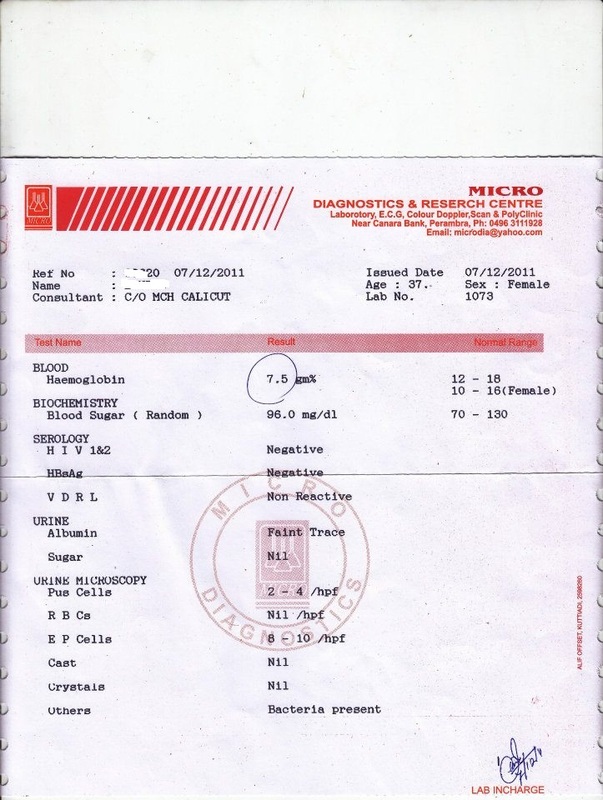 He referred the case to MCH and they ruled out DM, UTI and Hepatitis. Fibroid uterus was detected on USG. They too prescribed Iron supplements but her HB % remained under 9 even after intake of the tablets for 1 month. she had a H/O Endometriosis ;FH : Paternal : CAD, Maternal : DM . Central bodies governing the functioning of alternative medicine courses have come under heavy criticism of late for the substandard quality of education and faculty in many colleges. With action being initiated to check the standard of education, private colleges teaching alternative medicine in the state may finally have to start worrying. The New Delhi-based Central Council of Homeopathy has also increased the bank deposit amount to check the commercialization or rampant mushrooming of colleges. From Rs 3 lakh, interested parties now have to assure a bank guarantee of Rs 50 lakh to start a homeopathy college. Inspection charges too have been increased from a meagre Rs 25,000 which could be paid in installments, to Rs 3 lakh to be paid at a time. Why the allopathic section of the profession should be so wrathful with Hahnemann is not a little surprising, because not only Hahnemann discover homoeopathy, he discovered allopathy as well. Allopathy existed before his time, just as homoeopathy did in a way, but it was unconscious of its own existence. It was Hahnemann who gave it its name; and if he is the father of homeopathy, he is at least the godfather of allopathy as well, and on that account deserves to have his name in the medical schools of both sections. 1. 4 years duration Degree/Diploma in Homeopathy as per Homeopathy Central Council Act, 1973. 2. Matric or its equivalent. 3. 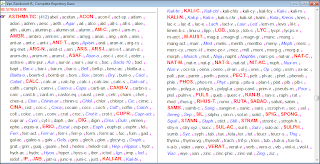 Knowledge of Hindi upto Matric. The Indian Medical Association will not allow ayurveda and AYUSH doctors to practice allopathy, said Indian Medical Association (IMA) president Dr H L Krishne Gowda. He claimed ayurveda practitioners had sought permission to prescribe allopathic medicines during emergency cases. Government today announced expanding the reach of National Rural Health Mission (NRHM) to all villages and towns and said it was formulating a new scheme for distribution of free medicines through public hospitals and health centres. Prime Minister Manmohan Singh today announced that the NRHM will be converted into a National Health Mission to expand the scope of health services in the towns also. "After the success of the NRHM, we now want to expand the scope of health services in our towns also. The National Rural Health Mission will be converted into a National Health Mission which would cover all villages and towns in the country," Singh said in his Independence Day address. Singh also said, "We are formulating a scheme for distribution of free medicines through government hospitals and health centres." The NRHM, a flagship scheme of the Congress-led UPA government, was launched in 2005 to provide better health services to people living in remote and rural areas of India. Health is a State Subject and State Governments are providing health care including drugs to the patients. In order to strengthen the hands of the State Governments, the Ministry of Health and Family Welfare is providing additional support under the National Rural Health Mission (NRHM) for overall health system strengthening including support for provision of free drugs in public health facilities. Under NRHM, a new initiative called Janani Shishu Suraksha Karyakram (JSSK) has been launched under which funding is given to the States for providing medicines free of cost to all pregnant women who access the Government health facilities for delivery as well as sick neonates born to them upto 30 days after birth. The affected skin changes color and becomes either lighter or darker than the surrounding skin.These show as small,scaly white,brown or pinkish spots on various parts of the body and may be darker or lighter than the surrounding skin. These become more prominent on exposure to sun. There can be itching and sweating. A skin scraping that is examined under a microscope should show the yeast.